In the Middle Ages, Polish rulers often had somewhat surprising nicknames. You’d find rulers known as Tanglefoot, Spindleshanks or Curly (no joke!). In this trip down nickname lane, Culture.pl explains where these curious examples (and more) came from. 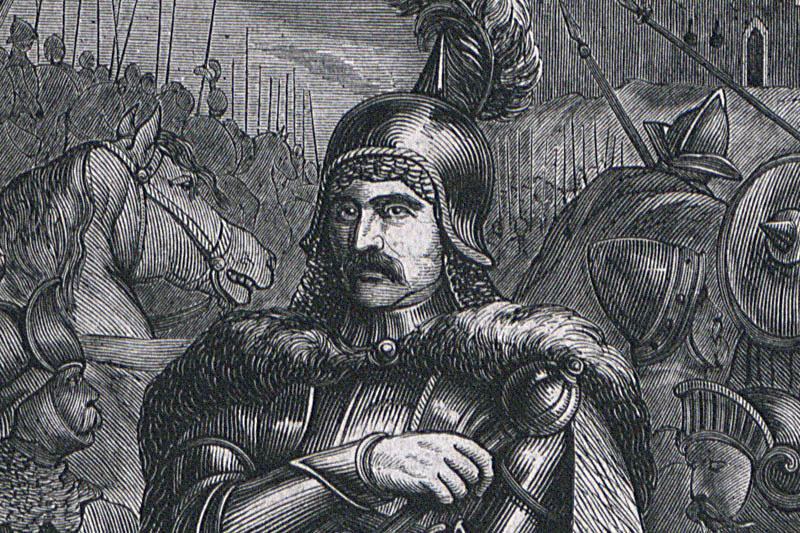 The nickname of this Polish prince born in 1085 translates as ‘Wrymouth’. He got it not because of an exceptional liking for tongue twisters, but simply because his lips were crooked or ‘wry’. In the 1970s, archaeologists found in the Płock Cathedral a skull most probably belonging to Bolesław. The analysis of the skull showed that its owner’s lower jaw was noticeably tilted toward the left, possibly due to complications at birth. Whenever Bolesław would chew or speak this asymmetry would become even more noticeable. But, knowing what he was capable of, you probably wouldn’t want to make fun of Bolesław. Apparently, his moniker is linked to the blinding of his half-brother, Zbigniew. During a fight for power, Zbigniew sought help abroad. After winning, Bolesław promised him a safe return but didn’t keep his promise. He blinded Zbigniew and threw him in jail, which eventually led to his death. Hence a nickname fit for a person you can’t trust: Krzywousty or ‘Wrymouth’ – in Polish ‘perjury’ is translated as krzywoprzysięstwo which means ‘taking a crooked oath'. Knowing first-hand how ugly things can get between competing brothers, Wrymouth opted to rule out any further bloodshed in the family. In the year of his death, 1138, sensing the end, he wrote his will in which he divided his reign among his sons. 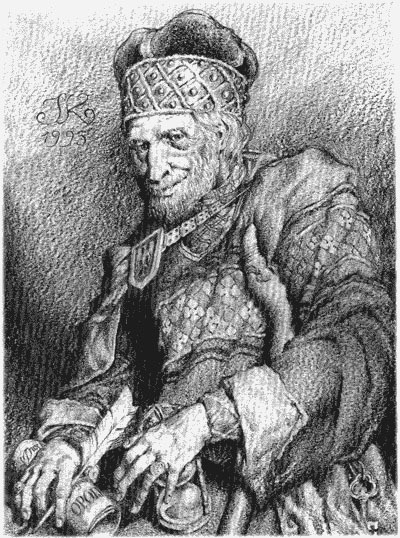 Historians still argue about how big a piece of the pie each of the five brothers got, but without a doubt among them was Bolesław Kędzierzawy or ‘The Curly’, born in 1121. His surprising nickname is said to have reflected his splendidly curly hair. The coins of Władysław Herman [Wrymouth’s father] and Bolesław the Bold [Herman’s father] show these monarchs exclusively with long combed-back hair, like the free people of a higher estate would wear. In the coins of Bolesław the Curly, the minter, even if a bit clumsily, tried to show his locks. Long ago, when there were no surnames, (…), you needed something to distinguish between the rulers. If you had many Olafs and Romans, you simply had to make them different. The first monikers, the most basic ones, referenced physical traits (…). [Others] were to show why people were supposed to listen to a certain person. Hence such nicknames like ‘The Strong’, ‘The Stout’ or ‘The Brave’. 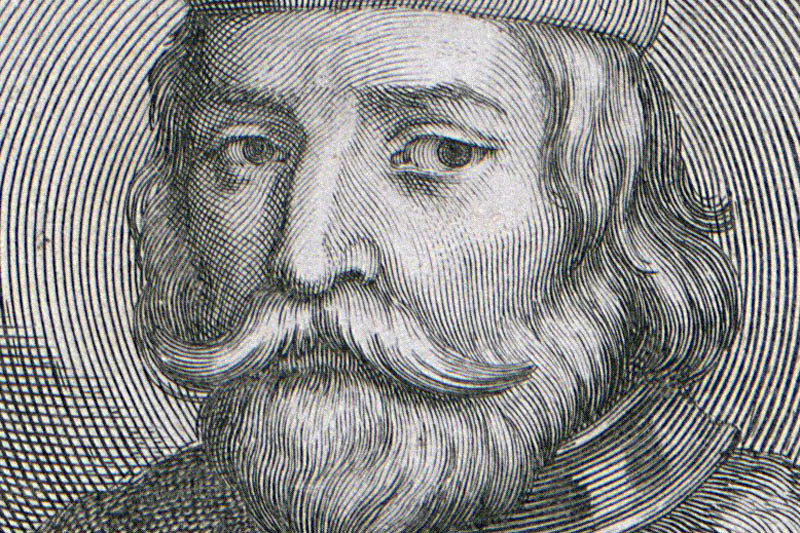 The nickname of Mieszko Plątonogi (born around 1146), ruler of one of the principalities, emphasised one of his distinctive features – the paresis of the legs the ruler suffered from, his moniker translates as ‘Tanglefoot’. Because of his tallness, some called him ‘The Great’, others, because of his unusually long legs, called him ‘Spindleshanks’. 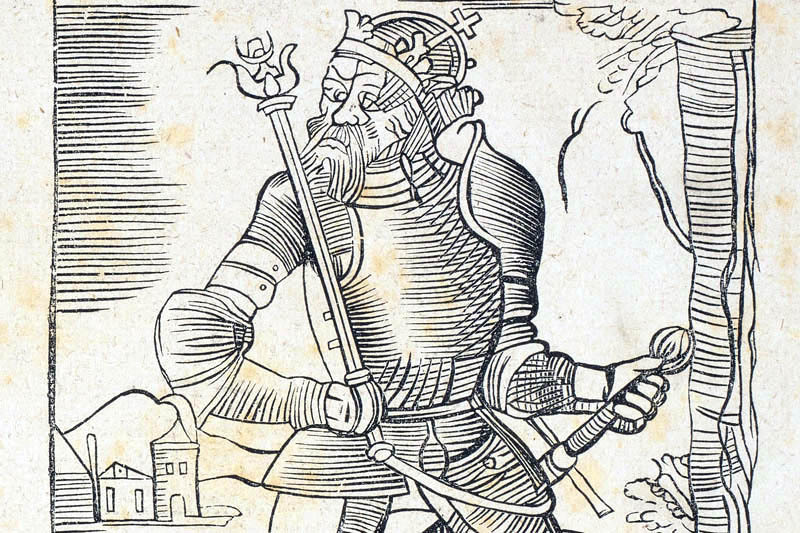 Born between 1220-1225, Bolesław Rogatka was a Silesian prince notorious for his cruel ways. He’s said to have set a church on fire in the town of Środa Śląska, killing the 500 people that sought refuge from him there. Jan Długosz wrote that the nickname Rogatka ‘in the Polish tongue means a bold man that, so to say, butts with his horns’. And so it’s translated as ‘The Horned’ – a devilish nickname for a hellish character. Here’s another surprising moniker which is based on a character trait. 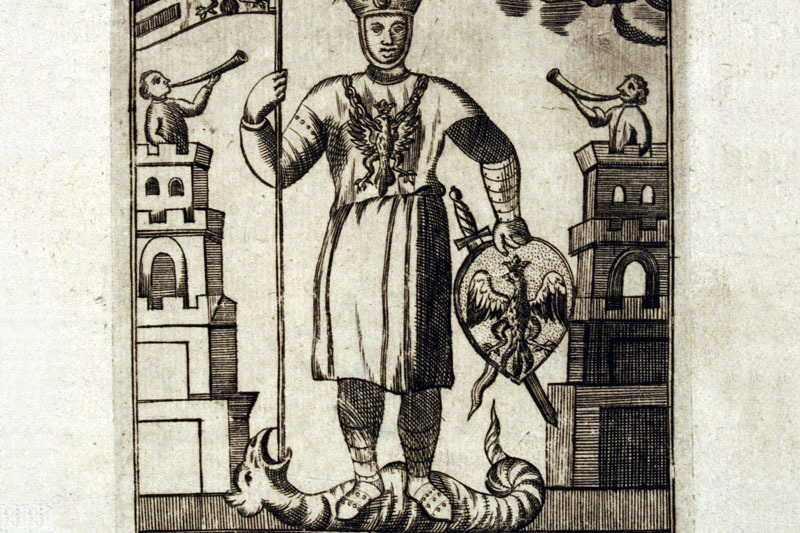 The Prince of Sandomierz Bolesław got his nickname, which means ‘The Shy’, when he and his wife took lifelong vows of chastity. 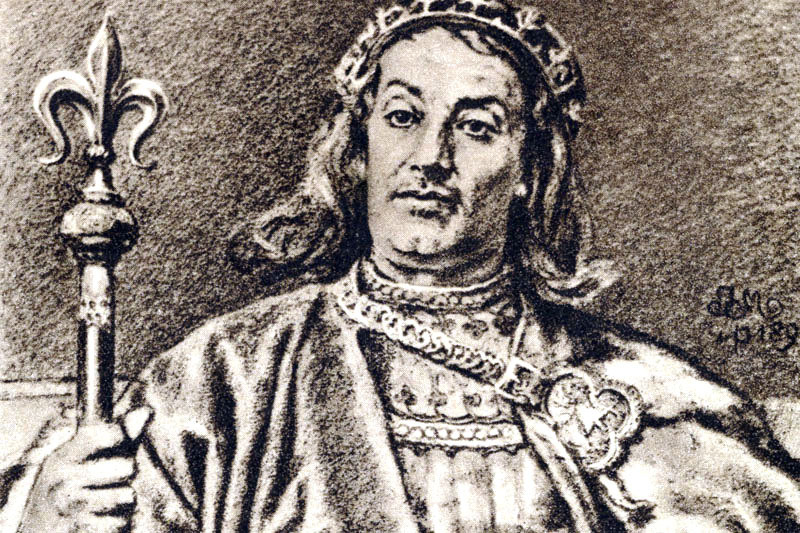 Born in 1226, Bolesław was only thirteen when he wed the Hungarian princess Kinga, who in turn, was only five at the time (it sounds completely outrageous from today’s perspective, but such were the realities of medieval dynastic policies!). Given that they married as children, the shyness is fully understandable. His lordship’s beautiful! Young, and delightful! He has gold aplenty, it’s clear he’ll have much land, but will he have as much luck? He’s posthumous, and posthumous ones don’t always have it easy. Sadly, Przemysł indeed did not have much luck. 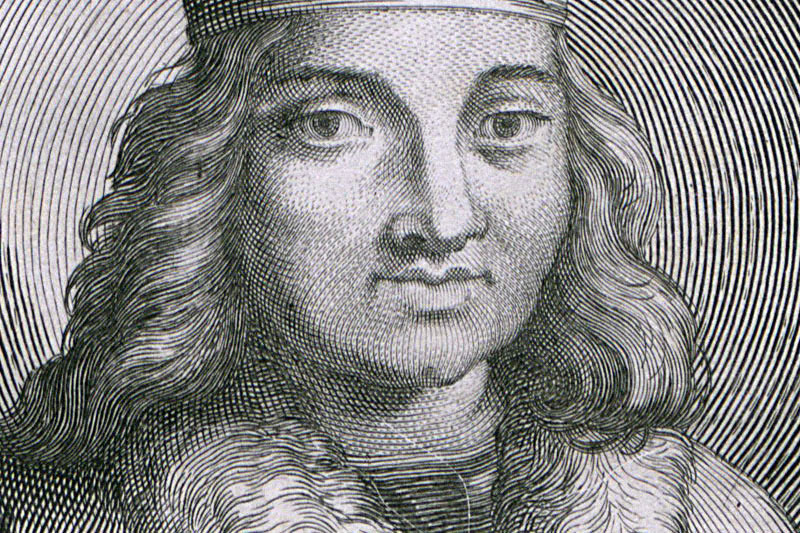 In an attempt to reunite the country, he was crowned King of Poland in 1295 but was assassinated the following year. This vile act is largely shrouded in mystery – the assassination was most likely committed by the powerful enemies he made during his rise to the top. You’d expect that the person to finally reunite Poland for good – after Przemysł’s death it split up again – would be remembered by history as ‘The Great’ or ‘The Wise’. But that’s just not the case. 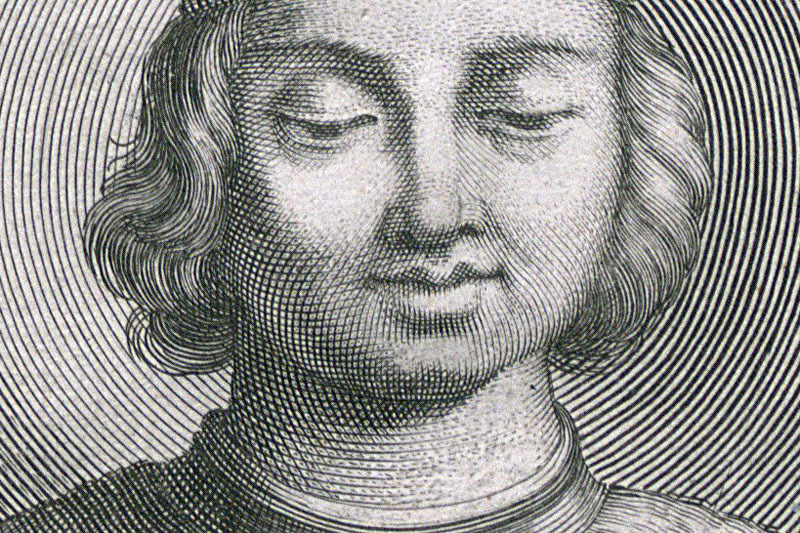 When Prince Władysław was crowned King of Poland in 1320, he was already known by his nickname Łokietek which means ‘Little Ell’.